It’s a fine October day in Highlands North Carolina. I was in town to attend a waterfall photography workshop at Dry Falls offered by Deborah Scannell Photography. Arriving in town several hours prior to the workshop, I planned to see a waterfall or two before it began. This is a waterfall-rich area, so there are quite a few to choose from. 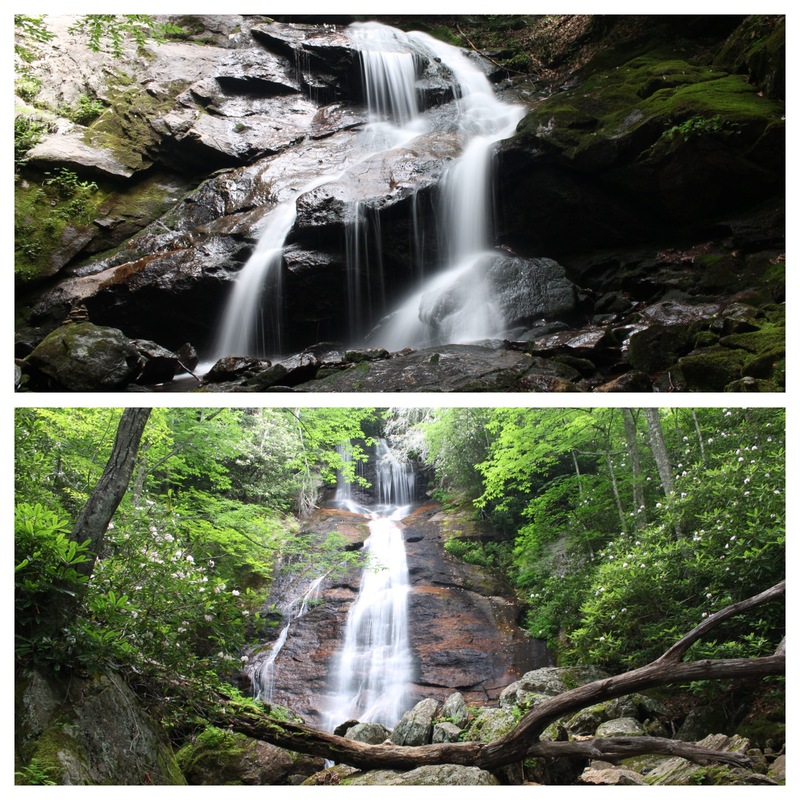 I looked at the ones that I had yet to see on the WC100, and chose Secret Falls. Secret Falls is also known as Big Shoals. 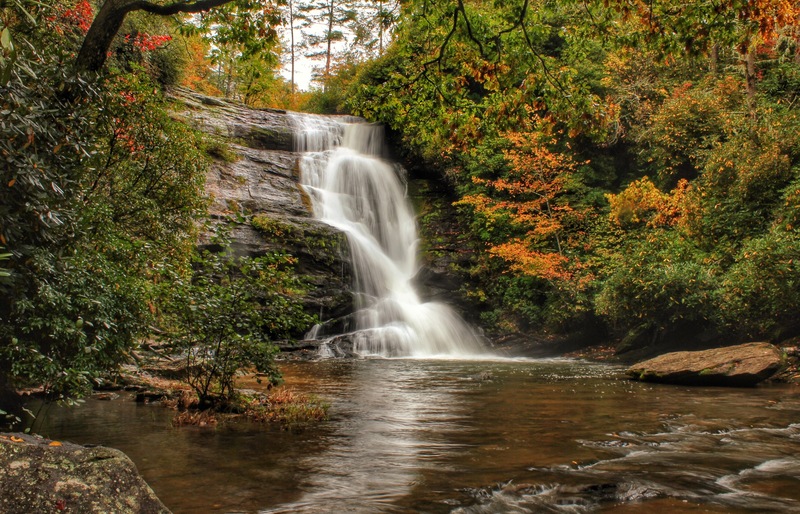 It is a beautiful 50 foot waterfall on a fairly high volume creek called “Big Creek”. Secret Falls has helped get me officially to the halfway mark of the WC100. 50 down, 50 to go! 2014……..Wow!! Happy New Year to all!! One of my New Years Resolutions this year is to see more waterfalls that are “new” to me. 2013 was largely spent on getting better photos of many of the ones I had previously visited. I did add a few new ones to my list. Courthouse Falls was probably my favorite new waterfall for 2013. Now it is time to get back to business and grow my collection. 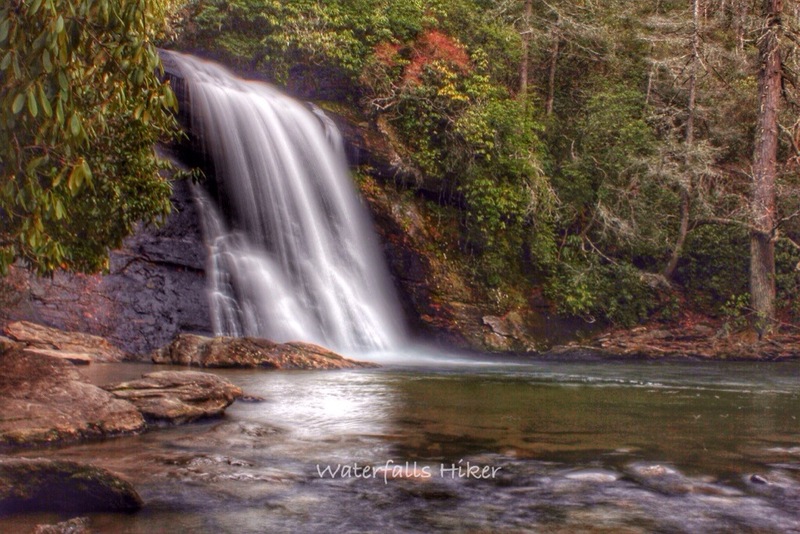 My first waterfall trip of 2014 was a trip into South Carolina to see Yellow Branch Falls. On my way back, I had just enough daylight for a quick stop at Silver Run Falls, just accross the border in North Carolina. Silver Run Falls is another new one to me. 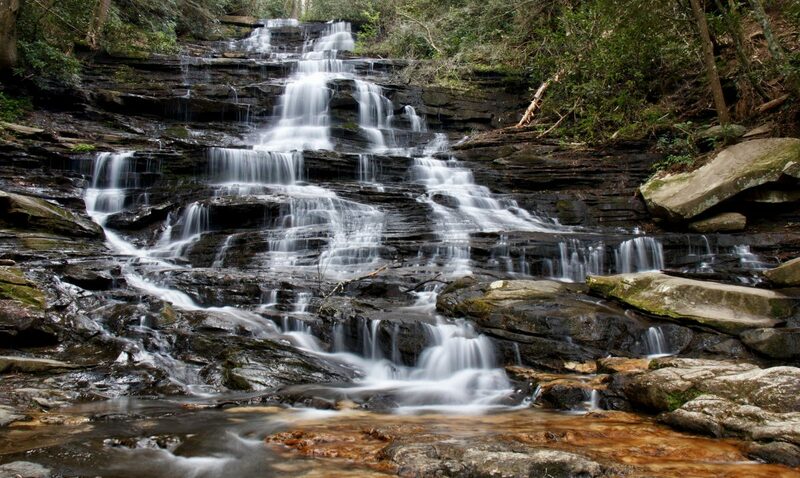 This is a beautiful 25 foot waterfall that sits less than 1/4 mile from NC 107, about 4 miles south of Cashiers.